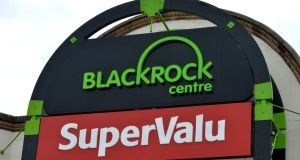 Supervalu is set to open three new stores in 2014 as part of a € 7 million investment by its independent retail partners. The expansion will result in the creation of 210 jobs, and will bring the grocery chain’s number of outlets up to 226. The Musgraves-owned grocery chain will also invest a further € 12 million in the expansion and refurbishment of 45 stores this year. This comes on top of the € 20 million in-store investment programme in the former Superquinn network, which was announced earlier this year. The grocery chain saw its sales increase by 1 per cent in 2013, up to €2.1 billion, resulting in its market share growing to 20.1 per cent. Since the name change of the 24 Superquinn stores earlier this month, Supervalu now has a combined market share of 25.2 per cent and is the largest Irish grocery brand in the country. Speaking at the Supervalu national conference in Killarney today, Martin Kelleher, managing director of Supervalu, said that the chain’s own brand range had proven popular with customers, with sales increasing by 9 per cent last year. Posted on February 24, 2014, in #ireland, #retail. Bookmark the permalink. Leave a comment.